In the United States alone, it is estimated that between 500,000 and 673,000 children have been diagnosed with autism spectrum disorder; it is now being considered a potential public health issue. The condition, characterized by deficits in social interactions, communications and behavior, has effects on into adulthood. Parents of autistic children have been told that early intervention is key in helping their children function to the best of their abilities. While this may still be true, it seems that there is little evidence supporting the benefits of interventions designed to address core deficits like social/communication, adaptive, behavior and language skills. These findings, published in the November edition of the journal Pediatrics, came from Margaret Maglione, lead author on a recent study that looked at some of the most commonly used autism treatment programs. For their study, Maglione and colleagues placed commonly used autism treatment methods in head-to-head trials. The goal was to determine which programs were superior and which required more work. Their hope was to walk away from the study with information on which programs parents of autistic children should choose. Unfortunately, they walked away with less than they bargained for. Researchers came to this conclusion after closely examining more than 100 studies that contained at least 10 autistic children or adolescents. To evaluate those studies and review the information, researchers assembled an expert panel of practitioners. 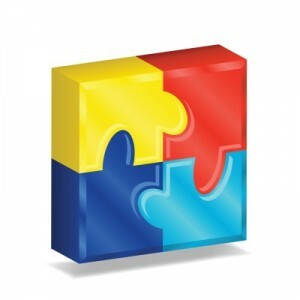 After completing their examination, the panel agreed that there was enough evidence to support the use of applied behavioral analysis, the Picture Exchange Communication System, integrated behavioral/developmental programs and various social skill interventions for children with Asperger’s and high-functioning autism. The panel also agreed that children on the spectrum should receive at least 25 hours per week of comprehensive interventions (or intensive early intervention) to address social communication, play skills, language and maladaptive behavior. Yet despite this endorsement, none of the treatments evaluated were supported by any evidence considered stronger than “moderate.” Researchers say that treatments that fall into this category are supported by reasonable evidence, but they add that more research could change their perception on how valuable these treatments are. In contrast, it is unlikely that a treatment program with a high level of evidence would be changed by further research. It is for this reason that the panelists feel that more research is needed. As a parent of an autistic child, the lack of evidence is a little disturbing, not only because effective treatment is important, but also because of how expensive those treatment options are. While I am not going to abandon what we are doing simply because there’s not enough evidence to strongly support what we are doing, I would definitely appreciate having more evidence that we are providing him with what he really needs to have a successful future.